Regardless of which industry you work in, if you work at an office with more than 10-15 people, the workspace is guaranteed to deal with a lot of paper on a day-to-day basis. There are invoices, agreements, balance sheets, drafts, letters, acknowledgments and other formal diktats that need to be observed and recorded on paper. Isn’t this way of functioning a little too dated for all of us in the 21st century? Think of the damage we’re wreaking on our ecology to satisfy our paper fetish. Doing away with paper completely from our lives altogether may seem a tough ask, but getting rid of it well and truly from our office space may not be a pipe dream anymore. If you look at day-to-day instances from your life, you’ll see that business processes are adapting to digital signatures thick and fast. Courier delivery services now increasingly sport digital signage apps or devices when they deliver ecommerce goods at our doorsteps. Income Tax and other financial documents are also rapidly moving towards deploying electronic signatures. It’s high time we said goodbye to fax or the print-and-scan exercise. Self sign or get legally binding signatures from authorized remote parties in no time and get started. Two relatively simple to use apps make signing documents a piece of cake on your Android, iOS smartphones. Download and try out Adobe Fill & Sign DC and Sign Easy, respectively, and just experience how easy and convenient it is to insert your own hand signature into a PDF or image document. Here at Digit, whenever we have to sign product incoming and outgoing challans (or invoices), external documents mailed across by third parties, or agree to legally binding NDAs (non-disclosure agreements), we generally use one of these signing tools. 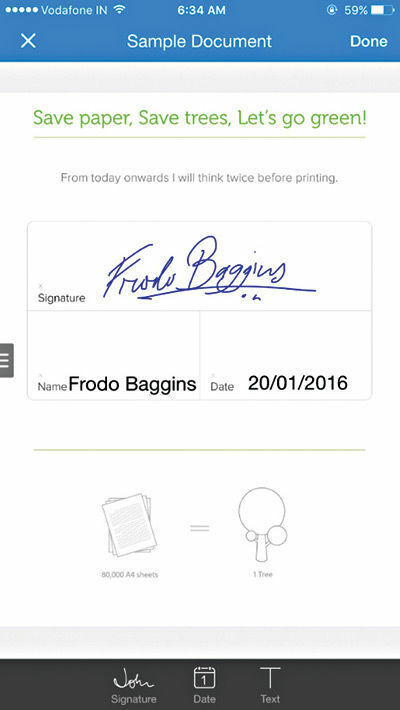 You can sign PDFs even on your smartphone, believe it or not. Open the document, enter your signature by literally scrawling your finger across the phone’s touch screen, drag and drop it on the exact location where you need your signature to be displayed, stretch it or shrink it appropriately to make it fit, etc. After doing the formalities, the documents can either be emailed or saved to a cloud folder. Just give the process a try. We strongly believe that once you get used to this, you will realize that going paperless isn’t all that difficult as you thought it would be. If you have to invest in one piece of hardware that will help you go a long way with your paperless office mission then spend on getting a good scanner. Checkout a portable, hand-held scanner (sold by Canon or Portronics) if you absolutely don’t want anything that remotely resembles a traditional printer to be visible in your office. Most of them are available around the Rs.5000 to Rs.7000 mark. Alternatively, you can use your smartphone to click photos of documents and save them on the cloud. Checkout CamScanner which does more than just take photos through a companion smartphone app as its algorithms are specially sensitive to and adept at recognizing paper document. When it comes to digitizing paper documents, sometimes you may want to extract the text and make it editable. This is where OCR (optical character recognition) plays a crucial role, and the good news is that there are plenty of apps that provide decent character recognition performance (as long as the scanned document is not hand-written). CamScanner comes with its own OCR feature built-in, but you can also check out apps like ABBYY Mobile OCR and Text Fairy as they’re quite good at extracting editable text from your scanned or photographed image documents. The next step in your war against paper should be to look for the right set of software tools to make digital integration of documents not only easy but also feasible. You’d be surprised to know that few of the most popular consumer services out there try and offer a substantial degree of paperless document collaboration and storage than you’d have imagined. 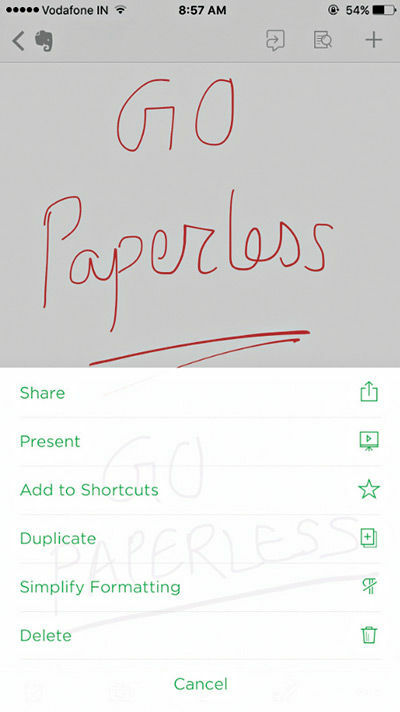 Evernote, a note-taking app extraordinaire, has features that are perfect to be deployed in a paperless office scenario. It has notebooks (can be digital images, scanned documents, etc), all saved and synced on the cloud, and the ability to share these notes across different Evernote users (hierarchical privileges or access rights for employees). Its smartphone app is great for taking photos of documents and Evernote’s OCR feature is one of the best in the business when it comes to scanning and retrieving even hand-written documents unlike any other. If you don’t need a full-fledged productivity suite, checking out Evernote as an alternative makes good sense. Google Drive and Microsoft Office 365 are very good cloud-based productivity suites for your office needs. Not only do they offer a seamless document collaboration experience, their online workflow is very easy to get used to and implement. What’s more, they also provide an integrated cloud-based storage option (Drive for Google, One Drive for Microsoft) that dovetails their respective productivity suites. Most importantly, these services are not as expensive as they once were, say, three or four years ago. ZOHO has similar solutions to offer for customers desiring task-based digitizing and productivity software hosted on the web. All these services offer a “Print to PDF” feature that you need to get used to, if we’re going to have any hope of clamping down on paper use. For the accounting and finance team in the office, you can check out an Indian software solution (no, not Tally) that gives them the power to do more without missing paperwork. ProfitBooks offers inventory management and accounting (also payroll handling) at a competitive price. All the solutions provided so far are stop-gap and pieced together with the help of two or three different apps or services. This may not be ideal for businesses who need to follow stringent safety and security norms, when it comes to their data. When jumping through hoops may not be ideal, it’s time to consider a full-fledged document management systems. Companies can produce piles of documents (electronically) and if you aren’t careful they may be lost or spread across a dozen inboxes, not to mention employee systems and smartphones, making your data vulnerable. In such instances, where you need a central location to house all digital documents, a document management system is essential. A document management system is different from online storage, as the latter only provides you cloud-based server space to save all your scanned documents and image files. Document management systems (DMS) are designed as an end-to-end solution aiming to deliver much more than what an online storage solution can when it comes to totally eliminating paper from the workplace. Think of DMS as scalable database systems that can be easily searched, shared and managed across several people (if required) simultaneously. There are various solutions available in the market, here we highlight some of the popular candidates that are worth checking out. eFilecabinet is a dedicated online file management service, allowing you to store, search and share files (even large files) with ease. It offers features to scan and drop digital files and store files in virtually any format, its search and file retrieval is speedy and accurate, and finally it allows you to share files through email or SecureDrawer (with custom parameters). The solution has smartphone apps to allow easy capture of images as documents. New Mumbai-based Ksmart Group’s latest enterprise business offering is DigiDocs, a document management system with OCR feature as well. In fact, DigiDocs claims to be built on Google’s Tesseract technology with a Linux core and PHP frontend, offering extensive scalability and customization options depending on client’s needs. If you’re looking for a easy-to-use quick setup solution, this is definitely worth looking into. Although, the actual interface of the product still has a lot to improve, even though it shows promise. Finally, no article on paperless office solutions can be complete without a mention to good old Adobe, the company that invented the PDF file format. 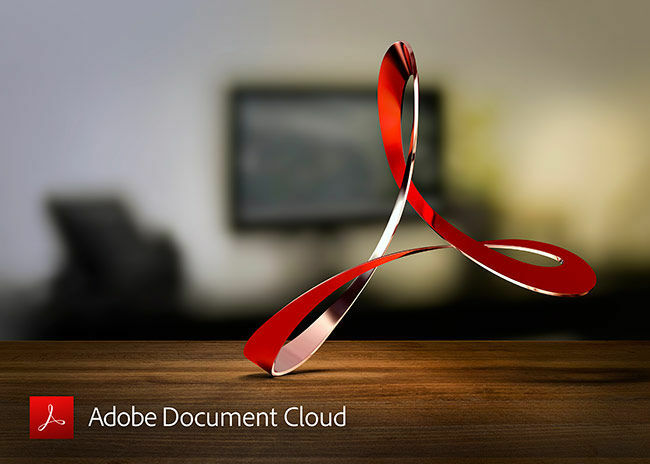 Adobe had obviously envisaged the paperless office scenario quite a few years ago and it’s trying to bring in its expertise by offering to take care of the document scanning, storing, signing and sharing process every step of the way. Through Adobe Document Cloud, and the seamless features on offer (albeit at a hefty monthly subscription cost), going paperless isn’t all that hard to imagine. Old habits die hard. Taking into consideration all the different triggers that resurface years of mental and physical conditioning, it may pose a challenge towards your establishment’s objective and make it difficult to realize your collective paperless goals. In such instances, good old low-tech solutions should come to the rescue. Introduce printer woes: Make using the printer in office a painstaking exercise. If you have a large format printer, immediately swap it for one of the most basic network printers money can buy. Ensure that the printer isn’t quick to spew out printed pages, is difficult to operate and is a shared resource among several employees. Bye bye faxes: If they aren’t phased out and dumped into the garbage bin already, then without wasting anymore of your company’s time and money fax machines need to be relegated to history books. It’s high time. Who uses them anyway? Have people not heard of emails? Come on, already! E-statements: To set the example, ensure you opt for electronic statements from your banks and credit card company. Pay bills online, too, and reduce your cash / cheque book use down to a minimum. Rewards: Beyond just gamification – tracking, recognizing and rewarding employees who significantly cut down their dependence on paper on a monthly basis – make sure there are no technology bottlenecks hindering the deployment of your company’s paperless policy. With a lot of cloud data being synced to and fro, make sure your office has very good Internet connectivity speeds. There are several tangible, undeniable benefits of implementing a ‘zero paper policy’ at your office or workplace. For this trend to catch on and become successful, it’s important for employees and management to understand that initiating a paperless drive at the workplace is more than just trying to save the environment. It’s about setting up a way of functioning that’s a lot more practical as technology gets better in our lives. 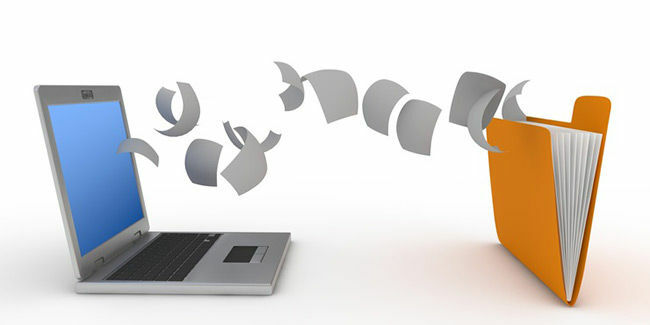 Convenience: As your dependence on paper diminishes down to zero, you’ll find that saving all your documents in digital format really makes them easy to retrieve even when you aren’t in office – as long as you’re using a cloud-based backup and syncing solution (which you most probably would be). Ease of collaboration: Another important perk of digitizing documents is its ease of sharing and collaborative work. No need to enclose something in an envelope and send through the post anymore – all it takes is clicking a few buttons and before you know it you can have a team of employees working on a piece of document digitally from within the office premises or remotely even. Security: It’s time to finally say goodbye to all the office cabinets full of ledgers and account books and traditional means to secure the data they hold, because digitizing documents means saving them in a secure online server (by means of a trusted document management system or popular web service, whichever you prefer) with ease of creating multiple backups and redundancies (a process which would cost a lot of time and money if done traditionally over paper). Saves time and money: Digitizing documents and working in a paperless office environment where every employee’s comfortable interacting and interfacing in a virtual, digital ecosystem will definitely help speed up tasks and processes and ultimately save the business decent amount of money, too. This article was first published in the February 2016 issue of Digit magazine. To read Digit's articles in print first, subscribe here.